At Johnson & Johnson, it's important that our employees enjoy an active, fun and healthy lifestyle. This enables them to be fresh and innovative while at work. 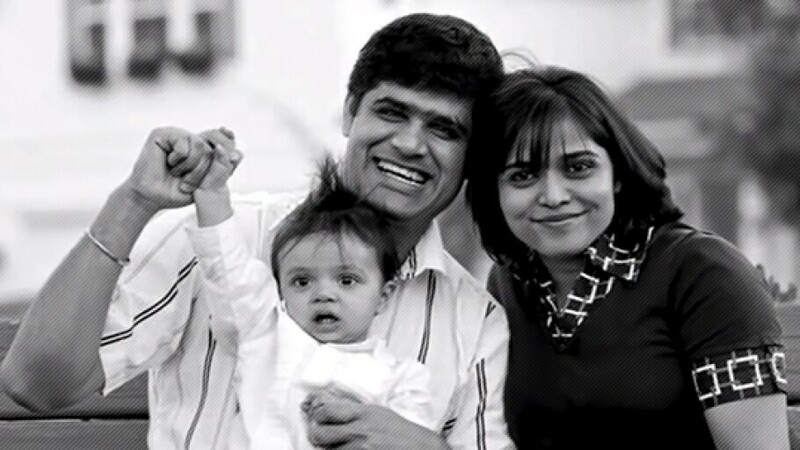 Smita talks about the challenge of balancing work and family commitments. Employees in our US businesses—across the fifty states and Puerto Rico—put their passion and energy toward developing and delivering products that help customers live longer and healthier lives. Whether they are technical or business oriented, student or experienced professionals, proven or aspiring leaders, our employees find opportunities to make their unique mark. US employees have many opportunities to collaborate with team members within our companies around the world. Those cross-business interactions help employees expand their professional network and help them see new opportunities for career movement into related business categories. Ultimately, we’re all proud to be part of health care innovations that touch the lives of more than a billion people around the world each day. 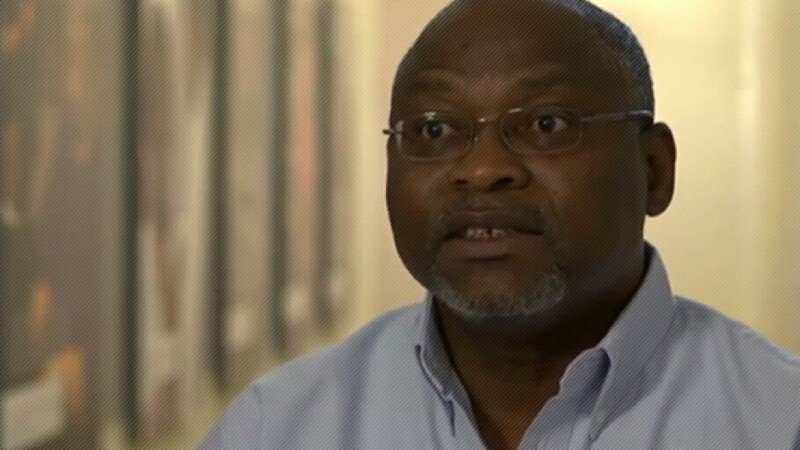 Discover more about the Johnson & Johnson Family of Companies across the United States. You can narrow your search by state and by business segment, and click to read brief descriptions on our companies. To find jobs within a specific company, use the keyword search bar at the bottom of the page. BabyCenter, L.L.C. is the leading online pregnancy and parenting resource, with the #1 Web sites in the U.S. and U.K. and recently launched sites in Australia and Sweden. BabyCenter® also offers customized e-mail newsletters, an online baby store, online community, BabyCenter™ Magazine, The BabyCenter® Essential Guide to Pregnancy and Birth, and ParentCenter.com®. Neutrogena Corporation develops, manufactures, and markets premium skin and hair care products sold worldwide and recommended by medical professionals. The regulatory classification of the products is principally OTC (over the counter) drug. The product line includes acne treatment products, sun protection,and facial care as well as other hair and skin care products. Janssen Supply Chain Division of ALZA Corporation, a global organization responsible for supplying medicines to markets around the world. With Quality as their primary focus, this group strives to provide access and affordability, through innovation and strong collaboration with their R&D and Commercial partners, to deliver life changing solutions for patients in need. Janssen Supply Chain develops drug delivery-based pharmaceuticals, precisely controlling the targeting, timing, and dosing of therapeutic compounds. ALZA technology has been incorporated in more than 30 commercialized products, including DURAGESIC® (fentanyl transdermal system) CII, CONCERTA® (methylphenidate HCl) CII, DITROPAN XL® (oxybutynin chloride), and DOXIL® (doxorubicin HCl liposome injection). Acclarent, Inc. is a medical device company in Menlo Park, California that was established in June of 2004. The company is dedicated to the development of innovative devices providing new technologies to further meet the needs of ENT patients. Acclarent's initial focus is on achieving the goals of sinus surgery with novel, endoscopic, catheter-based tools–Balloon Sinuplasty devices. Through the Balloon Sinuplasty technology and our RELIEVA® product portfolio, we offer ENT patients another option to conventional endoscopic surgical technologies. FDA clearances for these devices were completed in 2005 and the products were commercially launched in the US that same year. Through our core technologies and commitment to innovation, Acclarent will continue to advance novel devices in all areas of ENT. Advanced Sterilization Products Services Inc. (ASP), a member of the Johnson & Johnson Family of Companies, is a leading designer and developer of innovative instrument sterilization, high-level disinfection, and cleaning technologies. The company is dedicated to providing infection prevention solutions that create the safest possible environments for patients, healthcare providers, and communities. ASP is based in Irvine, California, with offices around the world. Biosense Webster, Inc. is recognized worldwide as an industry leader in endocardial diagnostics and therapy. Guided by the needs of electrophysiologists and cardiologists, the company has pioneered innovative technological advancements ranging from the first deflectable tip catheter to today's most sophisticated three-dimensional cardiac mapping and navigation systems. Biosense Webster, Inc. combines leading-edge technology with a tradition of quality and responsiveness while partnering with the physician to optimize patient outcomes. Codman Neuro Division of DePuy Orthopaedics, Inc. is the Neurological business of DePuy Synthes Companies and is focused on neurosurgery, neurovascular, and neuromodulation, offering a broad portfolio of solutions, including programmable shunt systems, catheters, trauma monitoring devices, drug pumps, neurovascular coils, liquid embolics, and vascular reconstruction devices. Cordis is a recognized leader in providing physicians with breakthrough treatment solutions for peripheral vascular disease, a leader in circulatory disease management, interventional cardiology, radiology, and electrophysiology products for circulatory disease management. Over the last 50 years, a deep understanding of the medical marketplace, unrivaled concern for the needs of patients, and high impact technological innovation have made Cordis a strong developer of breakthrough products for interventional medicine, minimally invasive computer-based imaging, and electrophysiology. Today, Cordis employees from around the world share a strong commitment to continue our company's groundbreaking work. Mentor is a trusted global leader in aesthetic medicine among both consumers and clinicians, providing a broad range of innovative, science- and clinical-based solutions to maintain, enhance, and restore self-esteem and quality of life. Noramco, Inc. produces a variety of active pharmaceutical ingredients and is a major worldwide producer of medicinal analgesics, active pharmaceutical ingredients (APIs), and intermediates across the healthcare industry. As a part of the Janssen Supply Group, Noramco is a member of a global organization responsible for supplying medicines to markets around the world and contributes to billion-dollar affiliate franchises as well as to significant third party generic and branded pharmaceutical products worldwide. The Human Performance Institute is a part of the Johnson & Johnson Family of Companies and the Wellness and Prevention business. The Institute’s products and services underscore the global company’s commitment to promoting health and wellness as a way of reducing healthcare-related costs, improving overall employee health, and increasing productivity. 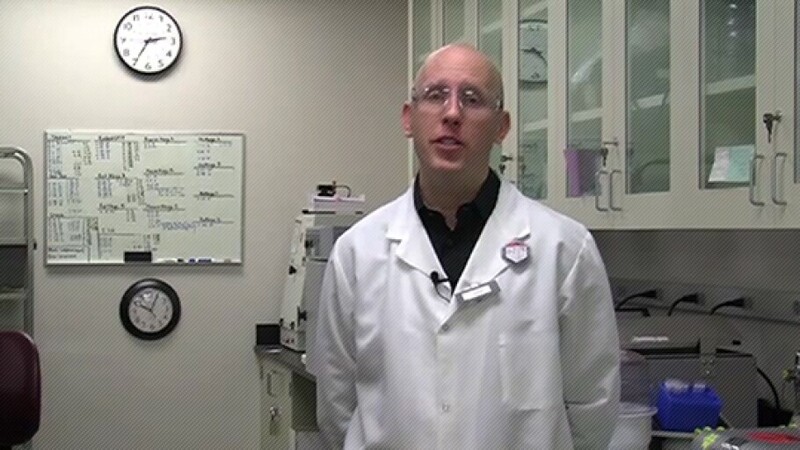 The Johnson & Johnson Vision Care companies include VISTAKON® and VISTAKON® Pharmaceuticals, LLC. Transforming the world's vision, VISTAKON®, a division of Johnson & Johnson Vision Care, Inc., manufactures ACUVUE® brand contact lenses,the world's first soft disposable contact lens. Headquartered in Jacksonville, Florida, VISTAKON®, is a worldwide company with operations in the United States, Japan, Latin America, Asia-Pacific, and Europe/Middle East/Africa regions. Since our inception, we have strived to increase awareness of the importance of vision and vision care and to provide the world's most exceptional vision correction options. To that end, VISTAKON®, through our passion for innovation and our unwavering commitment to the highest standards of quality, has become a world leader in vision care, providing a family of outstanding contact lens products. VISTAKON®, Division of Johnson & Johnson Vision Care, Inc. is a worldwide company with operations in the United States, Japan, Latin America, Asia-Pacific, and Europe/Middle East/Africa regions. Research, innovation and new-product development are the focus of our organization. Since we introduced soft disposable contact lenses in 1988, no other manufacturer has matched the aggressive expansion of our wide-ranging ACUVUE® family of products. Our associates around the world are committed to expanding the ACUVUE® brand, and fortifying our position as the worldwide leader in the contact lens industry. DePuy Synthes Companies of Johnson & Johnson, which includes DePuy Synthes, Power Tools Division of DePuy Orthopaedic, Inc., represents the world's largest, most innovative and comprehensive orthopaedic and neurological business. DePuy Synthes Companies offer an unparalleled breadth and depth of products, services, and programs in the areas of joint reconstruction, trauma, spine, sports medicine, neurological, craniomaxillofacial, power tools, and biomaterials. Building on the legacy and strengths of two great companies, we are creating one organization that will be agile and better equipped in today's evolving healthcare environment. With a focus on activating insights to develop innovative, comprehensive solutions, we are inspired to advance patient care in greater ways than either company could accomplish on its own. Micro Typing Systems, Inc. is located in Pompano Beach, where it manufactures and distributes reagents and instruments used in hospitals and donor centers to help ensure safe and effective blood transfusions. DePuy Synthes Companies of Johnson & Johnson, which includes DePuy Synthes, Inc. and DePuy Synthes Joint Recontruction Division of DePuy Orthopaedics, Inc., represents the world's largest, most innovative and comprehensive orthopaedic and neurological business. DePuy Synthes Companies offer an unparalleled breadth and depth of products, services, and programs in the areas of joint reconstruction, trauma, spine, sports medicine, neurological, craniomaxillofacial, power tools, and biomaterials. Building on the legacy and strengths of two great companies, we are creating one organization that will be agile and better equipped in today's evolving healthcare environment. With a focus on activating insights to develop innovative, comprehensive solutions, we are inspired to advance patient care in greater ways than either company could accomplish on its own. DePuy Synthes Companies of Johnson & Johnson, which includes DePuy Synthes Sales, Inc., DePuy Synthes Products, LLC, and DePuy Synthes Institute, LLC, represents the world's largest, most innovative and comprehensive orthopaedic and neurological business. DePuy Synthes Companies will offer an unparalleled breadth and depth of products, services, and programs in the areas of joint reconstruction, trauma, spine, sports medicine, neurological, craniomaxillofacial, power tools, and biomaterials. Building on the legacy and strengths of two great companies, we are creating one organization that will be agile and better equipped in today's evolving healthcare environment. With a focus on activating insights to develop innovative, comprehensive solutions, we are inspired to advance patient care in greater ways than either company could accomplish on its own. Codman & Shurtleff, Inc. develops and markets a wide range of diagnostic and therapeutic products for the treatment of neurological and neurovascular disorders, focusing on hydrocephalus, neuro-critical care, tumors, pain management, severe spasticity, aneurysms, and cerebral arteriovenous malformations. Our product line includes cerebrospinal fluid shunt systems, advanced neuro-monitoring and electrosurgical systems, implantable intrathecal drug pumps, and minimally invasive devices for neurovascular disorders that may lead to stroke. 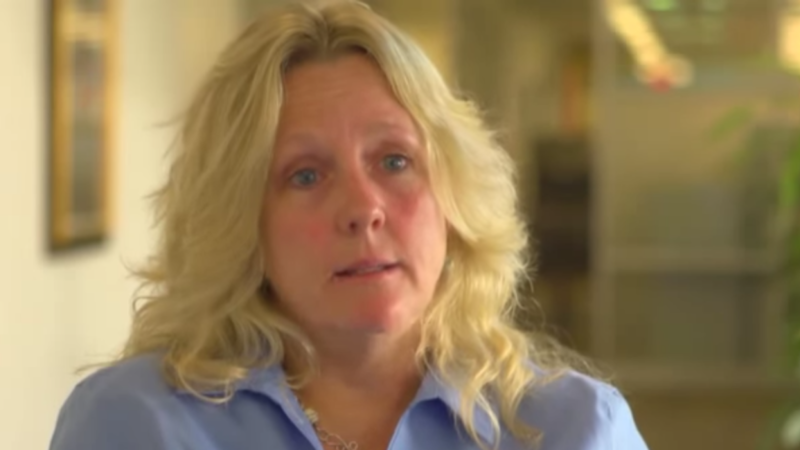 Codman & Shurtleff, Inc. is part of the DePuy Family of Companies within Johnson & Johnson. The DePuy Family of Companies has a rich heritage of pioneering a broad range of products and solutions across the continuum of orthopaedic and neurological care. Wellness & Prevention, Inc., a Johnson & Johnson company, helps organizations renew the health, energy, and performance of their employees and members, and offers an integrated portfolio of solutions to cover the full spectrum of population health – from wellness and prevention, to behavioral health, to chronic disease support. These solutions include culture of health assessments and programs, on-site health screenings, Energy for Performance training, health risk assessments, user portals, incentive solutions, Digital Health coaching, telephonic coaching, on-site health coaching, participation and engagement strategies and programs, outcomes reporting, and data analytics. For more than 30 years, Janssen Biotech, Inc. has delivered on the promise of new treatments and ways to improve the health of individuals with serious disease. Built upon a rich legacy of innovative firsts, Janssen Biotech, Inc. pursues innovative solutions in the therapeutic areas of immunology, oncology, urology, and nephrology. With the same unwavering passion for new challenges, we dedicate ourselves to delivering solutions for these disease states where unmet needs continue to exist. Rooted in rich scientific collaborations and community-based relationships, we have access to some of the top minds in science today, allowing us to advance the treatment of patients through our innovative medicines. Our discoveries lead us not only to new treatments, but also to new ways to empower patients and expand their access to quality care. Johnson & Johnson Consumer Products Company Division of Johnson & Johnson Consumer Companies, Inc. develops and markets baby care, wound care, and skin care products that address the needs of consumers and healthcare professionals and incorporate the latest innovations. The portfolio includes heritage brands JOHNSON’S® Baby and BAND-AID® Brand, as well as leading skin care brands such as AVEENO® and CLEAN & CLEAR® . Johnson & Johnson Sales and Logistics Company, LLC, a division of Johnson & Johnson Consumer Companies, Inc., provides sales, marketing and logistical services to US retail customers on behalf of the US consumer companies. 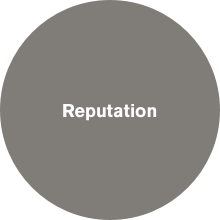 It represents one point of contact with our customers for selling teams, customer service, distribution, retail merchandising, and professional detailing. It develops and markets baby care, wound care, and skin care products that address the needs of consumer and healthcare professionals and incorporates the latest innovations. The portfolio includes heritage brands JOHNSON'S® Baby and BAND-AID® Brands as well as leading beauty and skin care brands such as NEUTROGENA®, AVEENO® and more. McNeil Consumer Healthcare Division of McNEIL-PPC, Inc. markets a broad range of over-the-counter products, including TYLENOL® acetaminophen products, ZYRTEC® and BENADRYL® allergy medicines, IMODIUM® A-D anti-diarrheal products, MOTRIN® IB, and SUDAFED® nasal decongestants. As a member of the Janssen Pharmaceutical Companies of Johnson & Johnson, Janssen Pharmaceuticals, Inc., is dedicated to addressing and solving some of the most important unmet medical needs in cardiovascular, diabetes and pain management. Driven by our commitment to patients, we work together to bring innovative ideas, products, services, and solutions to individuals with serious conditions, and to physicians throughout the world. For more about Janssen Pharmaceuticals, Inc., one of the Pharmaceutical Companies of Johnson & Johnson, visit http://www.janssenpharmaceuticalsinc.com. We are fostering an environment of performance excellence, built on trust, respect, and accountability. Through an emphasis on strong leadership and people development, we will accelerate our sales growth and outperform the competition. Janssen Supply Group, LLC is part of Janssen Supply Chain, a global organization responsible for supplying medicines to markets around the world. With Quality as their primary focus, this group strives to provide access and affordability through innovation and strong collaboration with their R&D and Commercial partners to deliver life-changing solutions for patients in need. Ethicon Inc. believes in advancing surgical care worldwide to enhance patients' lives. For more than 80 years, Ethicon has been a trusted partner, answering customers' needs and delivering what is best for patients. 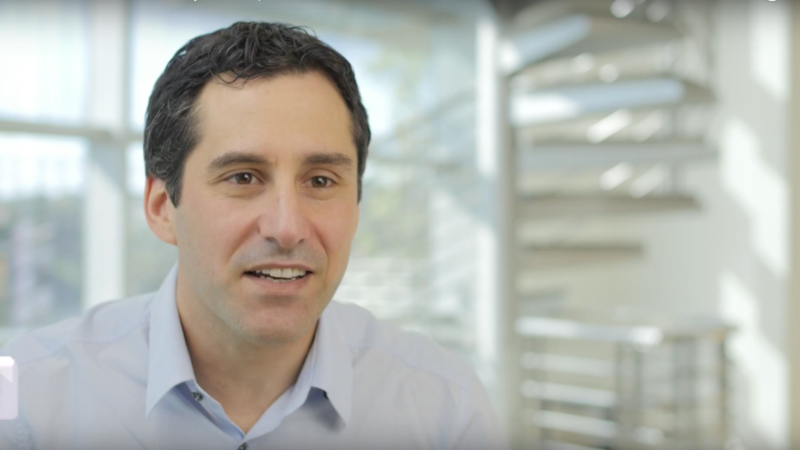 Janssen Diagnostics, LLC, a new Johnson & Johnson Company at the forefront of the oncology diagnostics community, is dedicated to providing cancer diagnostic tools that will enable earlier disease detection as well as more accurate staging, monitoring, and selection of appropriate therapies. These tools utilize high-tech biology to significantly improve patient outcomes by pinpointing an individual’s unique disease type, and supporting clinicians in monitoring the cancer and determining what therapies are likely to prove most effective. Medical Devices Global Services LLC represents more than 60 manufacturing sites and 26,000 employees who plan, source, manufacture, and deliver high-quality and cost-effective medical products to our customers around the globe each day. Work of the Medical Devices Supply Chain supports a multitude of product platforms, new products, and delivery systems that are used in a wide range of procedures throughout the healthcare industry, including interventional cardiology, electrophysiology, minimally invasive surgery, hospital sterilization, clinical laboratory testing, diabetes management, joint replacement surgery and vision care. Ortho-Clinical Diagnostics (OCD) is a leading provider of in vitro diagnostic products and services, offering accurate, timely, and cost-effective solutions for screening, diagnosing, monitoring, and confirming diseases. The company serves the global clinical laboratory and transfusion medicine community, and is committed to providing customers with products, services, and process solutions to make labs more efficient in delivering the quality test results doctors and patients need. For more information see http://www.orthoclinical.com/. For more than 25 years, our engineers, clinicians, and biological researchers have been driven to discover new technologies and therapeutic applications that empower the immune response and improve patient outcomes. Janssen Global Services, LLC (JGS) is a legal corporate entity encompassing a unique group of departments/organizations/teams that provide leadership across business critical areas for Janssen, the pharmaceutical companies of Johnson & Johnson. The following groups make up JGS: Global Commercial Strategy Organization (GCSO), Global Pharmaceutical Communication and Public Affairs; US Pharmaceutical Procurement Group (USPPG); and Pharmaceuticals Group Business Development (PGBD). Johnson & Johnson Development Corporation (JJDC) is the venture capital subsidiary of Johnson & Johnson. JJDC is comprised of experts and leaders in the healthcare and technology venture communities who identify early market indicators, healthcare trends, and strategic investment opportunities. Unlike traditional venture capital firms, JJDC determines the success of an investment’s performance not only in financial returns, but also in the viability of providing strategic growth options for Johnson & Johnson. JJDC plays an integral role in the identification of new business opportunities outside of Johnson & Johnson’s traditional portfolio and market presence. JJDC identifies new market opportunities and develops new businesses in emergent healthcare sectors while also creating support venture investments in alignment with the strategic objectives of Johnson & Johnson operating companies. Johnson & Johnson Health Care Systems Inc. provides account management and customer support services to key health care customers, including hospital systems and group purchasing organizations, leading health plans, pharmacy benefit managers, and government health care institutions. The company also provides contract management, logistics, and supply chain functions for the major Johnson & Johnson franchises. Caring for the world, one person at a time, has inspired and united the people of Johnson & Johnson for more than 125 years. We estimate that the Johnson & Johnson Family of Companies touches more than a billion people's lives each day through our healthcare products and services, our corporate giving, and the volunteer efforts of our employees. The desire of our employees to make a difference has inspired every invention, every product, and every breakthrough we have brought to human health care. With $65 billion in sales in 2011, Johnson & Johnson is the world's most comprehensive and broadly-based manufacturer of healthcare products, as well as a provider of related services, for the consumer, pharmaceutical, and medical devices markets. Today, more than 250 Johnson & Johnson operating companies employ approximately 128,000 people in 60 countries throughout the world. Caring for the world, one person at a time, has inspired and united the people of Johnson & Johnson for more than 125 years. We estimate that the Johnson & Johnson Family of Companies touches more than a billion people's lives each day through our healthcare products and services, our corporate giving, and the volunteer efforts of our employees. 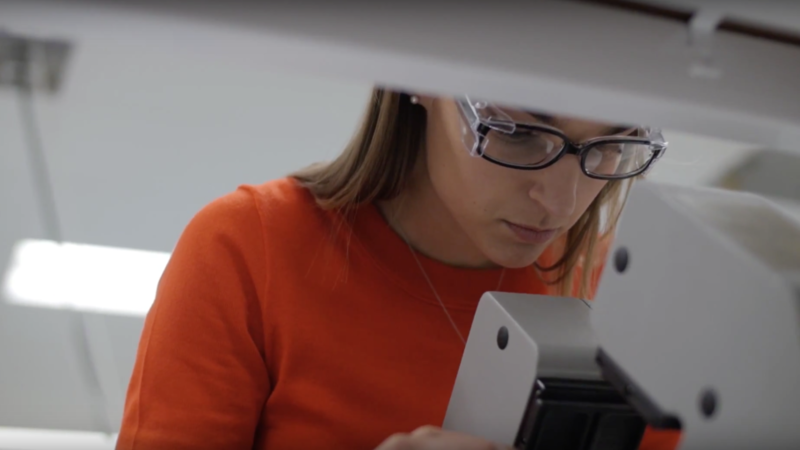 The desire of our employees to make a difference has inspired every invention, every product, and every breakthrough we have brought to human health care. With $67.2 billion in sales in 2012, Johnson & Johnson is the world's most comprehensive and broadly-based manufacturer of healthcare products, as well as a provider of related services, for the consumer, pharmaceutical, and medical devices and diagnostics markets. Today, more than 275 Johnson & Johnson operating companies employ approximately 128,000 people in 60 countries throughout the world. Ethicon Endo-Surgery develops and markets advanced medical devices for minimally invasive and open surgical procedures. It focuses on procedure-enabling devices for the interventional diagnosis and treatment of conditions in general and bariatric surgery, as well as gastrointestinal health, gynecology, and surgical oncology. McNeil Nutritionals, LLC (a division of McNEIL-PPC, Inc.) is a rapidly growing provider of scientifically based nutritional products that empower people to actively manage their own health. Our brands include: SPLENDA®, the #1 sugar substitute, VIACTIV® calcium supplements, LACTAID® supplements & dairy products, and BENECOL® Spreads and Smart Chews. Animas Corporation develops and manufactures insulin delivery systems that help people living with diabetes better manage the disease and live a life without multiple daily insulin injections. Animas is dedicated to helping make diabetes management easier through exceptional customer support, educational programs and innovative products. 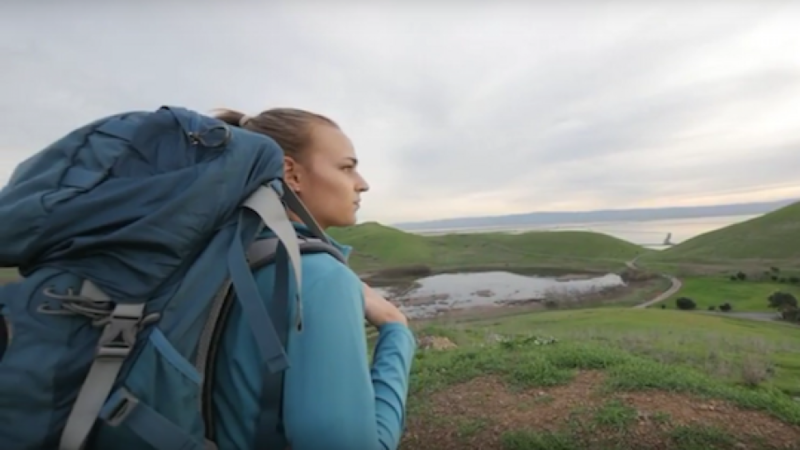 Animas employees are dedicated to “creating a world without limits for diabetics,” so it's no surprise that the company has led the way in insulin pump innovations since its first pump launched in 2000. To learn more visit http://www.animas.com. For more than 30 years, Janssen Biotech, Inc. has delivered on the promise of new treatments and ways to improve the health of individuals with serious disease. Built upon a rich legacy of innovative firsts, Janssen Biotech, Inc. pursues innovative solutions in the therapeutic areas of immunology, oncology, urology, and nephrology. With the same unwavering passion for new challenges, we dedicate ourselves to delivering solutions for these disease states where unmet needs continue to exist. Rooted in rich scientific collaborations and community-based relationships, we have access to some of the top minds in science today, allowing us to advance the treatment of patients through our innovative medicines. Our discoveries lead us not only to new treatments, but also to new ways to empower patients and expand their access to quality care. For more about Janssen Biotech, Inc., one of the Pharmaceutical Companies of Johnson & Johnson, visit http://www.janssenbiotech.com. Janssen Pharmaceuticals, Inc., a pharmaceutical company of Johnson & Johnson, provides medicines for an array of health concerns in several therapeutic areas, including: attention deficit hyperactivity disorder (ADHD), cardiovascular disease, general medicine (acid reflux disease, infectious diseases), mental health (bipolar I disorder, schizophrenia), neurologics (Alzheimer’s disease, epilepsy, migraine prevention and treatment), pain management, and women’s health. Our ultimate goal is to help people live healthy lives. We have produced and marketed many first-in-class prescription medications and are poised to serve the broad needs of the healthcare market – from patients to practitioners, from clinics to hospitals. For more about Janssen Pharmaceuticals, Inc., one of the Pharmaceutical Companies of Johnson & Johnson, visit http://www.janssenpharmaceuticalsinc.com. DePuy Synthes Companies of Johnson & Johnson is the largest, which includes DePuy Synthes Biomaterials Division of DePuy Orthopaedics, Inc. and DePuy Synthes CMF Division of DePuy Orthopaedics, Inc., represents the world's largest, most innovative and comprehensive orthopaedic and neurological business. DePuy Synthes Companies offer an unparalleled breadth and depth of products, services, and programs in the areas of joint reconstruction, trauma, spine, sports medicine, neurological, craniomaxillofacial, power tools, and biomaterials. Building on the legacy and strengths of two great companies, we are creating one organization that will be agile and better equipped in today's evolving healthcare environment. With a focus on activating insights to develop innovative, comprehensive solutions, we are inspired to advance patient care in greater ways than either company could accomplish on its own. Janssen Ortho LLC, Consumer Business Unit is our consumer and personal care sales and marketing company, and is a member of Johnson & Johnson's Family of Companies, located in Guaynabo. McNeil Consumer Healthcare Division of McNEIL-PPC, Inc., markets a broad range of over-the-counter products, including TYLENOL® acetaminophen products, ZYRTEC® and BENADRYL® allergy medicines, IMODIUM® A-D, MOTRIN® IB, PediaCare® upper respiratory medicines for infants and children, ROLAIDS® antacid products, and SUDAFED® nasal decongestants. McNEIL-PPC, Inc entered into a consent decree, or agreement, with the agency that governs certain manufacturing operations to help ensure quality and compliance. Now is an exciting time to join our business, as we focus on reaffirming the integrity of our iconic brands that are staples of households worldwide. Whether you view this opportunity as a potential career accelerator here, within the J&J Family of Companies or beyond, or whether this is your entry to the J&J Family of Companies, we invite you to join us…. Creating the future of McNeil. Janssen Ortho LLC , provides medicines for an array of health concerns in several therapeutic areas, including: attention deficit hyperactivity disorder (ADHD), cardiovascular disease, general medicine (acid reflux disease, infectious diseases), mental health (bipolar I disorder, schizophrenia), neurologics (Alzheimer's disease, epilepsy, migraine prevention and treatment), pain management, and women's health. Our ultimate goal is to help people live healthy lives. We have produced and marketed many first-in-class prescription medications and are poised to serve the broad needs of the healthcare market–from patients to practitioners, from clinics to hospitals. Key products manufactured at the Gurabo site are: INVOKANA®, CONCERTA®, ELMIRON®, IMODIUM®, INVEGA®, NUCYNTA®, PREXISTA®, PRILIGY®, Quicksolv™ , RAZADYNE®, RISPERDAL®, ULTRACET®, ULTRAM®, and XARELTO®. Key Products manufactured at the Manati site are; ORTHO TRI-CYCLEN®, ORTHO TRICYCLE-LO®, ORTHO-NOVUM®, ORTHO MICRONOR®, ORTHO-CEPT®, RETIN-A® (Valient). Janssen Ortho LLC is the Puerto Rico Sales and Marketing Division for the pharmaceutical products of Johnson and Johnson. Janssen Ortho strives to provide innovative, high-quality, safe and effective treatments to advance patient care. We promote products to treat a broad range of diseases. We help healthcare professionals meet their patients' needs. Located in Gurabo, Puerto Rico Janssen-Cilag Manufacturing, LLC is part of the Janssen Pharmaceutical Companies of Johnson & Johnson. During the last half-century, we have brought together a number of innovative pharmaceutical companies with one overarching goal: to address and solve some of the most important unmet medical needs of our time. Built upon a rich legacy of innovative "firsts," Janssen pursues innovative solutions in the therapeutic areas of immunology, oncology, and nephrology. With the same unwavering passion for new challenges, we dedicate ourselves to delivering solutions for these disease states where unmet needs continue to exist. Driven by our commitment to patients, we deliver products and services that offer hope and a healthier life to people throughout the world. Located in Manati, Puerto Rico Ortho Biologics LLC is part of the Janssen Pharmaceutical Companies of Johnson & Johnson. During the last half-century, we have brought together a number of innovative pharmaceutical companies with one overarching goal: to address and solve some of the most important unmet medical needs of our time. Built upon a rich legacy of innovative "firsts," Janssen pursues innovative solutions in the therapeutic areas of immunology, oncology, and nephrology. With the same unwavering passion for new challenges, we dedicate ourselves to delivering solutions for these disease states where unmet needs continue to exist. Driven by our commitment to patients, we deliver products and services that offer hope and a healthier life to people throughout the world. EPREX® is produced at this site. Ethicon LLC, a Johnson & Johnson company, is a trusted, worldwide leader in surgical care. For over a century, Ethicon has continuously introduced innovations in wound closure, general surgery, wound management, women's health and urology, and aesthetic medicine that fulfill the company's vision: Restoration of Body and of Life. Located in San Lorenzo, Puerto Rico, the Ethicon LLC manufacturing facility hosts over 1,000 associates dedicated to produce world-class medical devices to safely and effectively meet the needs of patients from all continents. Ethicon LLC develops and markets products within three divisions: Ethicon Products for precise wound closure and tissue repair, Ethicon Women's Health & Urology for minimally invasive women's health procedures, and Johnson & Johnson Wound Management for hemostasis and advanced wound care. Ethicon Endo-Surgery, LLC develops and markets advanced medical devices for minimally invasive and open surgical procedures. The company focuses on procedure-enabling devices for the interventional diagnosis and treatment of conditions in general and bariatric surgery, gastrointestinal health, gynecology, and surgical oncology. Products include: the ENDOPATH® XCEL™ Access System; CONTOUR™ Curved Cutter Stapler; and HARMONIC™ ultrasonic cutting and coagulating surgical devices. Johnson & Johnson Medical Caribbean, PR Marketing Division of Johnson & Johnson International, Guaynabo, is the sales and marketing organization for Johnson & Johnson professional products, such as sutures and surgical equipment, products for the prevention of infections and injuries in the operating room, cardiovascular products, and diagnostic equipment. On behalf of the Johnson & Johnson Family of Companies, Johnson & Johnson Health Care Systems Inc. (JJHCS) strives to deliver an exceptional customer experience through leading critical customer facing-functions, such as distribution, customer service, logistics, and transportation. In addition, JJHCS oversees critical business enablers, including how we gather and manage supply chain master data, safe and secure supply chain practices, product identification standards, and market/channel access capabilities. JJHCS supports all three sectors of Johnson & Johnson: Medical Devices, Pharmaceuticals, and Consumer Products. 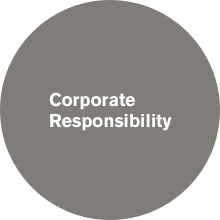 JJHCS is part of a reporting structure, known as Customer Logistics Services (CLS), which is an organizational reporting structure that supports supply chain activities for multiple companies within the Johnson & Johnson Family of Companies. Mentor Texas L.P. is a trusted global leader in aesthetic medicine among both consumers and clinicians, providing a broad range of innovative, science- and clinical-based solutions to maintain, enhance, and restore self-esteem and quality of life. 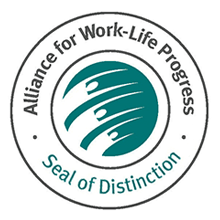 Johnson & Johnson was awarded a Work-Life Seal of Distinction to recognize organizations that exemplify leadership in work-life effectiveness. 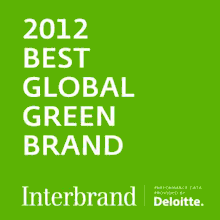 Interbrand listed Johnson & Johnson number six on their Best Global Green Brands 2013 Report. Johnson & Johnson continues to be the ONLY healthcare company in the top 50 and highest-ranked personal care company. Johnson & Johnson ranked No. 5 on Forbes list of America’s Top 10 Green Companies. 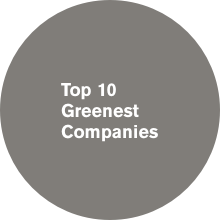 These 10 companies ranked the highest in the country in their purchases of green power, according to the Environmental Protection Agency.. According to the annual corporate reputation survey conducted by Harris Interactive® and the Reputation Institute, Johnson & Johnson was recognized for having the second best corporate reputation in America. This is the 12th year in a row the company has appeared among the top companies. Johnson & Johnson stock is included in the DJSI and the FTSE4Good Index Series. The DJSI family follows a best-in-class approach comprising the sustainability leaders in each industry. Categorized by industry group, companies are assessed against general and industry-specific criteria, and then compared against their peers and ranked accordingly. The FTSE4Good Index Series is designed to measure the performance of companies that meet globally recognized corporate responsibility standards and to facilitate investment in those companies. 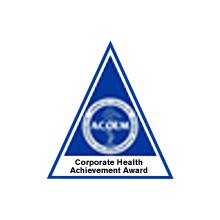 Johnson & Johnson received the 2012 Corporate Health Achievement Award from the American College of Occupational and Environmental Medicine in recognition of its long history of commitment to the safety and health of its workers. Johnson & Johnson was named to FORTUNE magazine’s list of the World’s Most Admired Companies in 2012. Recruitment of full-time, experienced candidates occurs continuously as new jobs become available. If you’re a student, click on Bachelor's Degree or Master's/MBA/PhD Degree buttons to help you find job openings and programs that match your course of study and interests. We value the unique perspective and experience that military veterans and reservists offer. Learn more about how our companies help US military veterans continue to develop their leadership skills and experience. Unique cultural perspectives bring strength and innovation to our organizations. 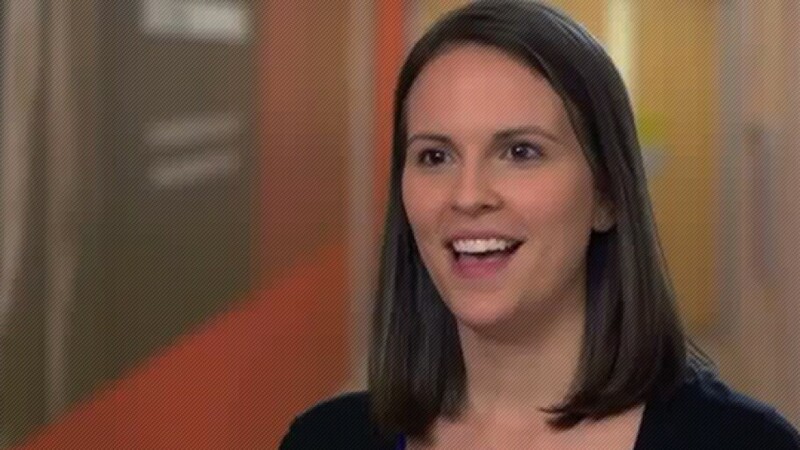 Learn more about how we foster an inclusive culture that helps all employees be authentic about who they are.